Intensive Treatment for Hair Loss Triple Action with AnaGain™ Stimulates hair growth at the root, prolongs the life cycle of hair and fully restores the vitality of the hair. This triple action treatment for thinning hair and hair loss; 1 stimulating protein production in hair cells, 2 Strengthening hair follicles & 3.Nourishing the scalp with natural oils. 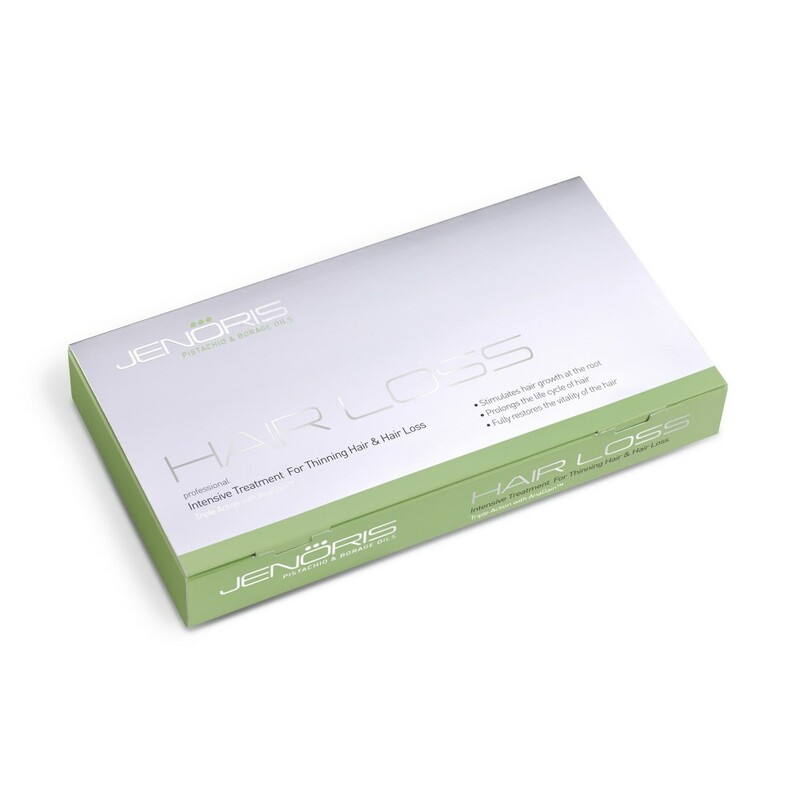 For best results use with Jenoris Hair Loss Shampoo.